Three years ago, the University of California San Diego launched a pilot program to promote interdisciplinary research among undergraduate and graduate students and postdoctoral fellows. The idea was to partner them with faculty mentors from at least two disciplines and provide them with funds so they could conduct research with the potential to make a real impact on society. 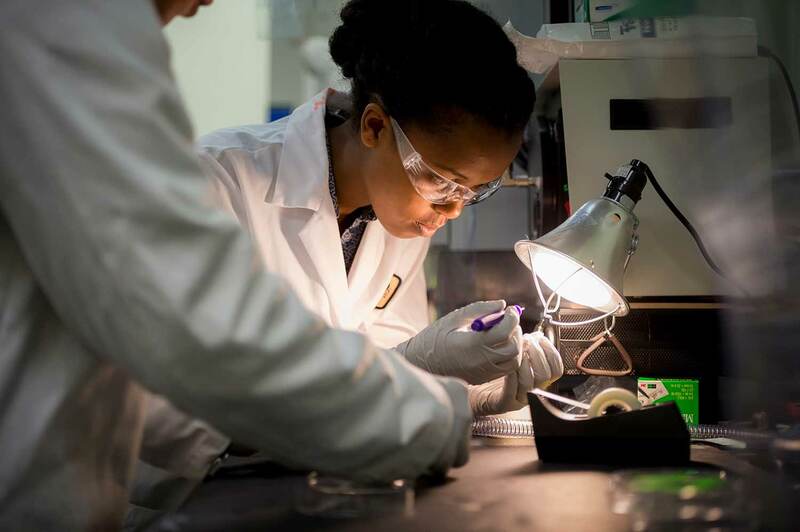 The CRES program is a unique opportunity for undergraduate students to work on interdisciplinary single-laboratory projects or programs. CRES-awarded Ph.D students and postdoctoral scholars are paired with mentors in at least two different divisions to encourage multidisciplinary research. For postdoctoral fellow Gina Merchant, the CRES award is an opportunity to further research and understand how information shared online about childhood vaccinations might affect parents’ intentions to vaccinate their children. For every group of people born in a given year, vaccines prevent an estimated 42,000 deaths, and Merchant hopes to link the systematic identification of online misinformation on social media platforms with effective public health intervention efforts. For the grant, she and Prof. Mark Sawyer have brought together experts from various disciplines — a pediatric infectious disease doctor, a behavioral scientist and an anthropologist — in an effort to address the role of misinformation on the formation of risk perception. This knowledge may one day be applied to other widespread scientifically misinformed issues beyond public health, including climate change. Another example of a CRES-QI collaboration is the work being done by graduate student Jonathan Paden, Visual Arts Prof. Sheldon Brown and Nanoengineering Prof. Darren Lipomi to build material that interface a sense of touch in virtual reality. Following last year’s announcement of UC San Diego’s partnership with IBM Research, QI affiliate Tajana Rosing, a professor of computer science and engineering, Virginia de Sa, a professor of cognitive science, and Laurel Riek, a professor of computer science, are working with undergraduate students to explore interventions for encouraging healthy living.